In 1921, Gabrielle Chanel asked Ernest Beaux to create "a woman's perfume with a woman's scent." Beaux presented her with a visionary composition that made unprecedented use of aldehydes. 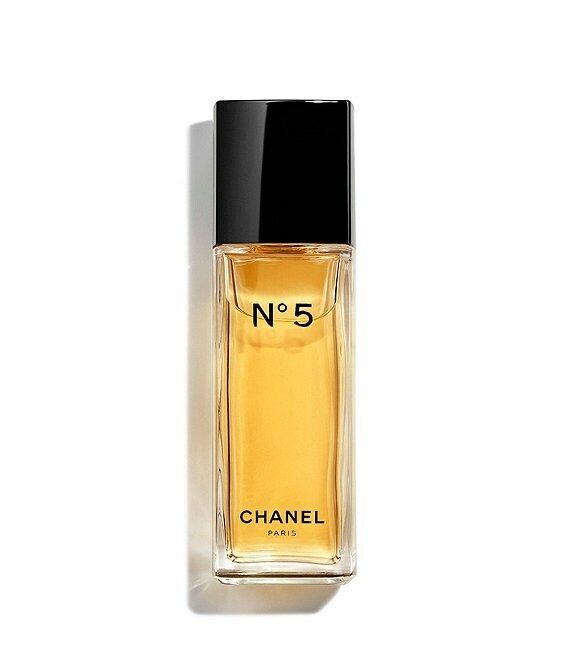 Mademoiselle chose the fifth sample of the fragrance, and decided to name it simply N°5. In 1924, she launched the N°5 Eau de Toilette, a warm, bright version of the now and forever fragrance. Powerful top notes, dominated by Ylang-Ylang and Neroli, are enhanced by aldehydes. At the very heart of the fragrance is the fullness of a magnificent Floral accord with Rose and Jasmine. A base of Vanilla, Vetiver and Sandalwood create a warm and vibrant trail. The Eau de Toilette comes in a spray format for more generous use, with smooth application on skin or clothing. eau de toilette spray 1.7 oz.